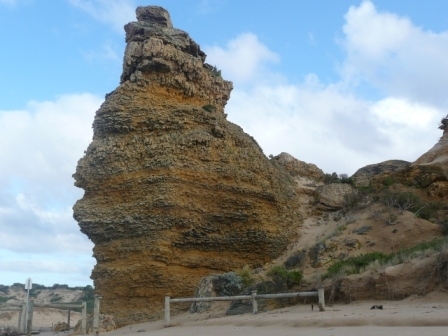 A lovely beach walk starting from the Fairhaven Surf Life Saving Club to Aireys Inlet Split Point Light House. 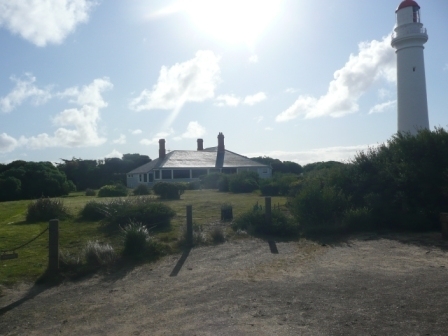 Spectacular views, rolling sand dunes and historic buildings. Apart from the points of interested listed, here are a few things to keep in mind when taking this walk. 1. Crossing the Great Ocean Road, particularly during summer can be a little perilous. The speed restriction is lowered to 60 kms between November to April. 2. Dogs are prohibited on the beach between December and April. However, this is not well policed by the Surf Coast Shire. Dogs off leash often jump on unsuspecting walkers. 3. Horses on the beach. During the busy summer months, a local horse riding company allows tourists to take horses on the beach to canter. These are inexperienced riders. The horses also defecate so there is a need to be mindful where you step after they have been on the beach. 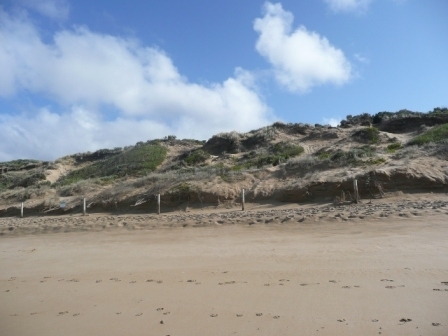 Fairhaven is a well known surf beach. The beach is patrolled during December to the Easter. 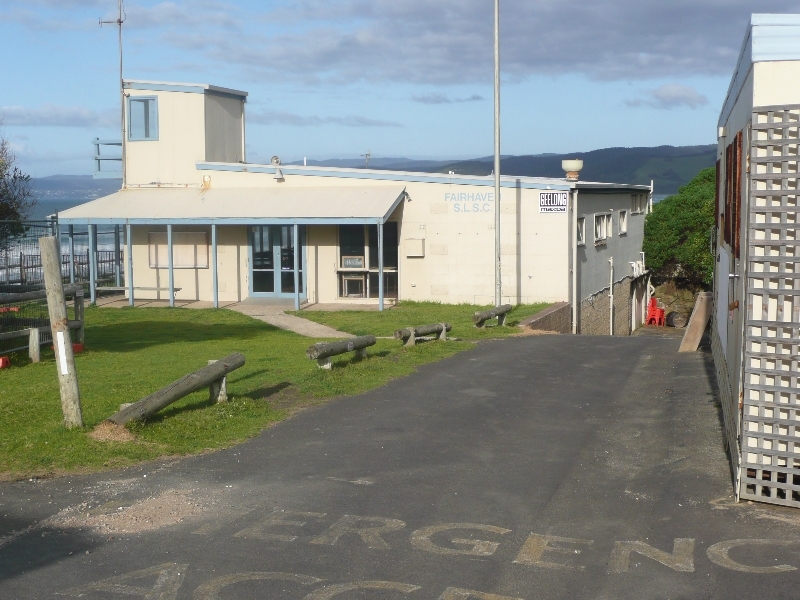 The Fairhaven SLSC was established in 1958. 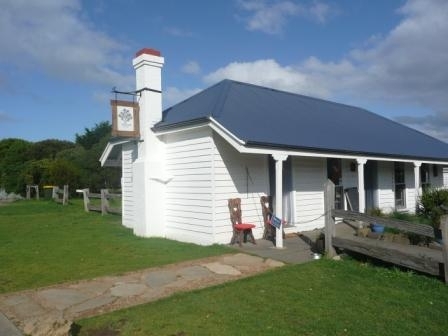 From Sprout Creek, Eastern View, Moggs Creek, Fairhaven to the bottom of the light house there is approx 6 km of beach, featuring rolling surf and spectacular views of the Otway Ranges and Lorne. See what sort of shells and stones you can collect. Can you find a bright red sea star? You can see all sorts of sea vegetation, small fish and crabs. Look at the bird life, gulls and cormorants. The beautiful rolling sand dunes shape the beach. 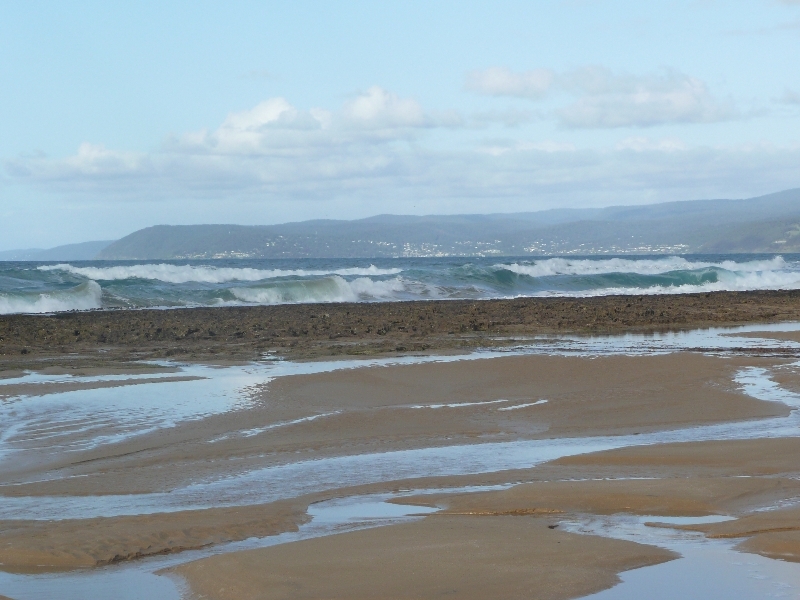 2011 has seen significant erosion due to winter storms that have bought strong winds and big waves (up to 10 feet). 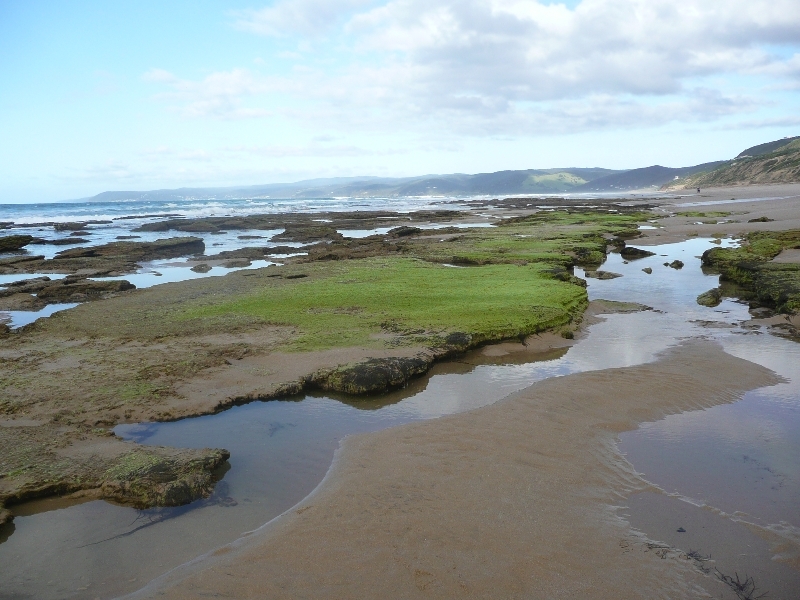 The creek separates Aireys Inlet from Fairhaven and forms an inlet behind the sand dunes before it cuts through to the ocean. A great place to shelter from the wind and for younger children to swim. There are more rockpools and rocky outcrops to explore under the light house. This area is part of the marine national park. This means that all wildlife is protected and cannot be removed. There is small skateboard ramp for children to ride their scooters or skateboards. 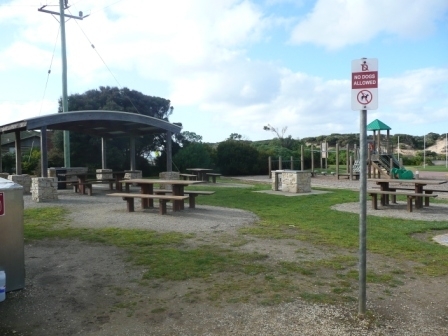 There are also swings and other play equipment for children and a picnic area. Pick up a coffee, newspaper or Fish and Chips! To the left of the shops, on the other side of the river, kangaroos can be seen in the early morning or at dusk. Return to Painkalac Creek inlet and walk to the grassed area on the left. 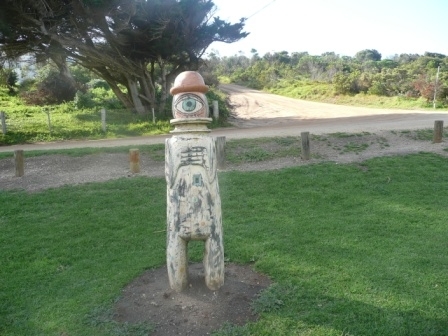 At the light house bollard turn right and walk up the signed (steep) walking track. Enjoy panaromic views on your walk up. At the lighthouse is the original homestead for the lighthouse keeper. 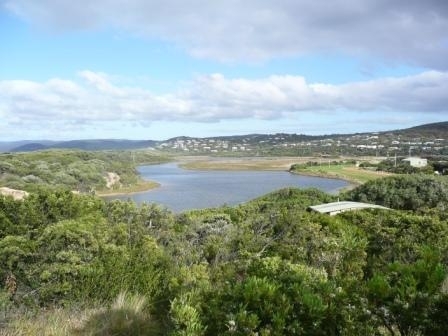 The Aireys Inlet area was first settled in the 1840s. The first tourists arrived in 1919. Follow the signs and continue up the walking track. 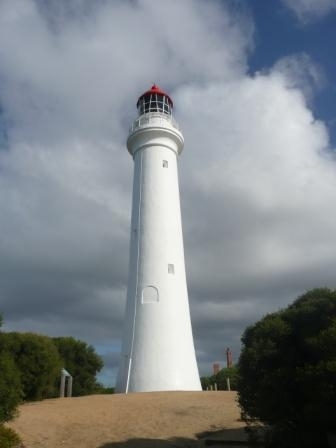 Shipping along the Victorian coast was much safer once the combination of this and other lighthouses at Cape Otway and Point Lonsdale were built.